Cook chicken adding little pepper powder and salt, shred it and keep it aside. Crush garlic ,green chillies, cumin seeds and coriander leaves together. Heat a pan and add butter and oil. Then add chopped onion and salt and saute for 2-3 minutes. Add grated carrots and stir well. Add crushed mixture (step 3) and saute till raw smell disappears. Add shredded chicken and pepper powder and mix well. Add cooked rice and mix well. Cover and cook on low-medium flame for 5 minutes. Love this kind of quick and delicious one pot meal..inviting rice. Healthy and quick one pot meal with chicken. 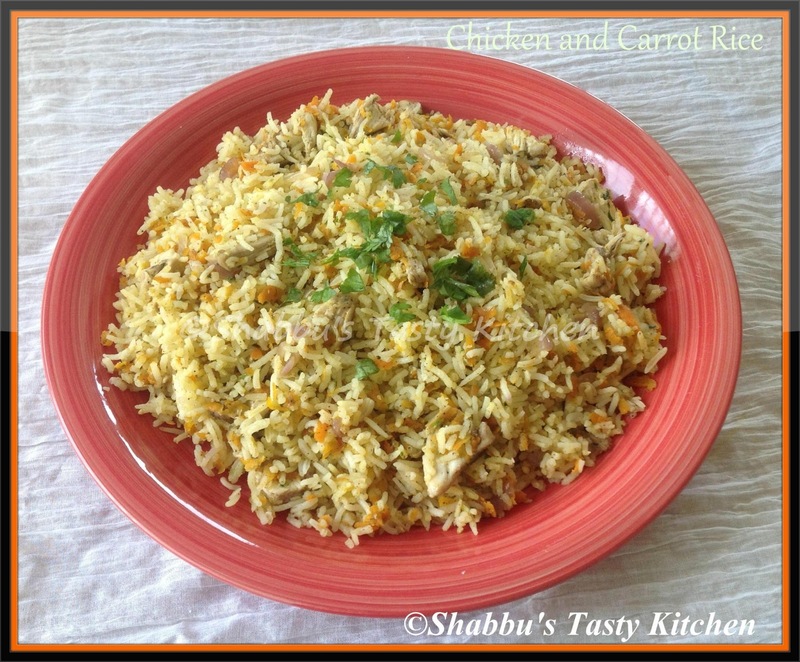 Lovely fried rice da...as chitz said "good way to make nakra kids eat"
looks really delicious –earthy and flavourful. i am a huge fan of premium Basmati Rice really lovely.